Shaquille O'Neal is a famous Athlete from USA, he is 47 years old and still alive, born March 6, 1972. 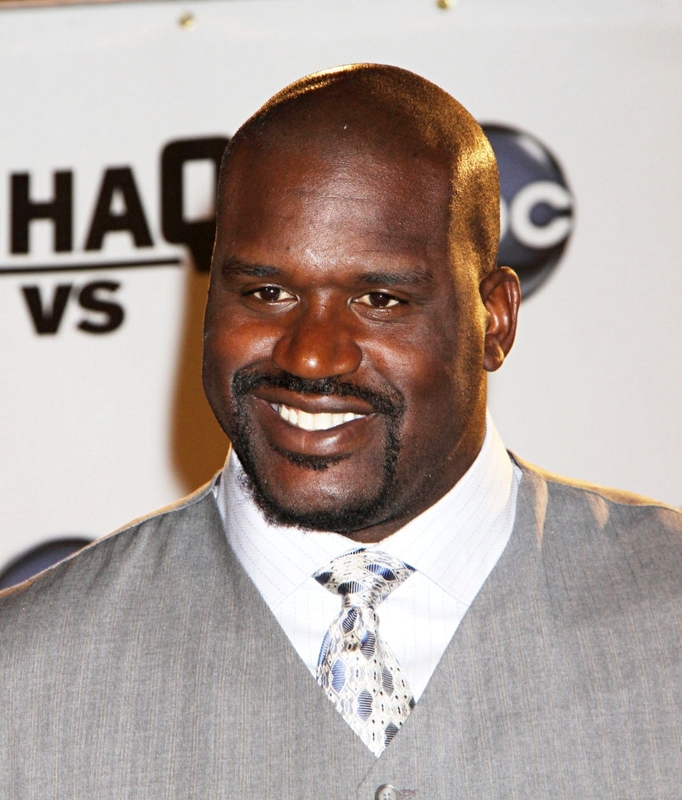 Shaquille Rashaun O'Neal is a former American basketball player who played in the NBA. "Shaq", as he often is called, is 2.16 meters tall and weighed nearly 150 kg when he played, and has throughout his career has been one of the biggest stars in American basketball, as well literally. O'Neal is known to have used his strength and size to score points near the basket, and to make returns. He is, despite his star status, seen as one of the worst shooters in the NBA. O'Neal was named the league's most valuable player in 2000. O'Neal made ​​his debut in the NBA for the Orlando Magic in 1992 and was the same season won the league's best newcomer ("Rookie of the Year"). After four seasons in Orlando, he went to Los Angeles Lakers in the summer of 1996, where he was teammates with another superstar, Kobe Bryant. Although the two stars seldom fell out, Lakers won three NBA championships in a row between 2000 and 2002. He is born under the zodiac pisces, who is known for Fluctuation, Depth, Imagination, Reactive, Indecisive. Our collection contains 31 quotes who is written / told by Shaquille, under the main topic Sports. "I want to be strong, dominant. Like Wilt Chamberlain"
"I play against a front and a back every night, Ming does not have to do that, Duncan does not have to do that, Garnett doesn't do that. I am the only one that has to do that"
"I had an awful first quarter but I picked it up. To all you single guys out there, it's not how you start the date, it's how you finish it sir. A lot of people can, you know, start the date with flowers and candy, but if you don't finish the date - you know what I mean?" "David Stern should get with the mothers of the NBA and let the moms decide what the dress code should be. I asked my mother if I could wear a chain, and she told me yeah. So I do stuff that my parents allow me to do"
"That is why one day I said my game will be like the Pythagorean Theorem - hard to figure out. A lot of people really don't know the Pythagorean Theory. They don't make them like me anymore. They don't want to make them like that anymore"
"Someday I might have to put down a basketball and have a regular 9-to-5 like everybody else"
"I'm very excited about my new agreement with the Heat. This contract allows me to address all of my family's long-term financial goals while allowing the Heat the ability to acquire those players that we need to win a championship"
"But that is the only thing that slows me down is the system. No one, two or three was big enough to slow me down, only the system. It was the system that slowed me down to make my numbers fall. Not because I am older"
"If you got the game, you got the game. That's why Tiger Woods is out there playing golf with Greg Norman"
"This is a tough game. There are times when you've got to play hurt, when you've got to block out the pain"
"Me shooting 40% at the foul line is just God's way to say nobody's perfect"
"I started out as a young Ninja and killed all of the Shoguns. I am a Shogun now and I'm holding my spot. There probably won't be another Shogun after this"
"Being here feels like I'm out of prison. This is the right place, the right time, the right team"
"We're just going to come out and play. We know that we're supposed to win all the games, but if we don't, we just have to take the next game and focus on what we did wrong in the game before and just try to do better at the next game"
"I started out as a football player. I liked to inflict pain. In basketball, it was the same thing"
"I have never been a shooter"
"I average 25 with three guys on me and they are just looking at stats I guess"
"I'm tired of hearing about money, money, money, money, money. I just want to play the game, drink Pepsi, wear Reebok"
"We want to win. We want to win big. We want to win the whole thing"
"I would like to be refered to as 'The Big Aristotle'"
"I put a lot into it, and when I am done playing, I plan on going undercover and then being the sheriff or chief of police somewhere, either Miami or Orlando, I don't know yet"
"And I want to do it the right way, like everybody else, not just a famous figurehead that gets a job because he is a famous basketball player. I want to really learn the business"
"One lucky shot deserves another"
"I don't get nervous in any situation. There's no such thing as nerves when you're playing games"
"I don't believe that I personally have been changed by the money. The bad thing is people assume you've changed because now you have money"
"Everything happens for a reason. I'm used to it, I prepare for it. Like I say, at the end of the day, those in charge of their own destiny are going to do what's rights for them and their family"
"I guess people think the taller you are the more dominant you have to be"
"I am the number one Ninja and I have killed all the Shoguns in front of me"
"But, hey I did everything the right way and earned my spot in this game, nothing was given to me"